One of my favourite snakes is the Black Mamba. They’re beautiful, elegant and mystic, but don’t let their beauty fool you. The name black mamba does not come from their body colour, which is a brown to grey, it is from the colour of the inside of their mouth. When they feel threatened they display the black inside of their mouth by opening wide. 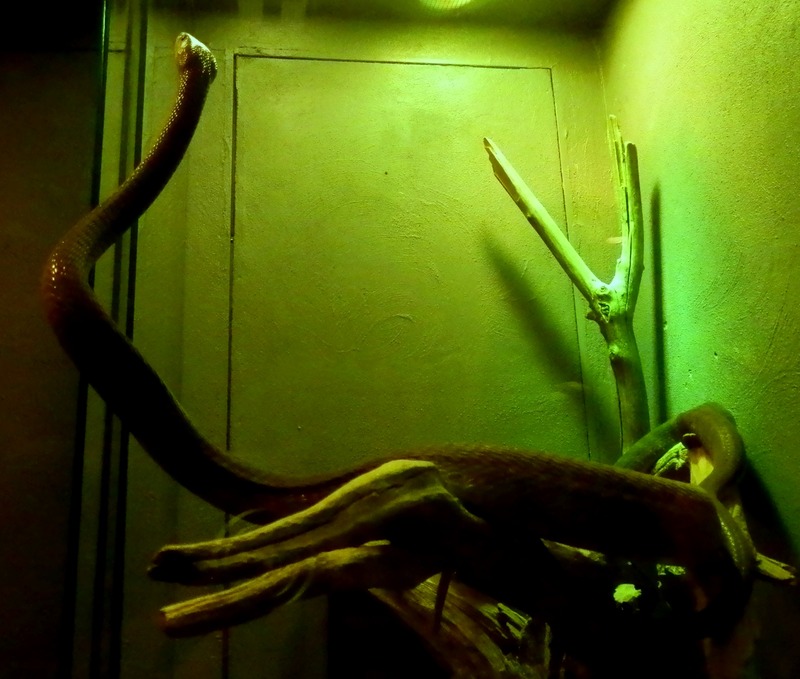 The black mamba is long and slender, with lengths of 14′ but average around 8′. They are found through southern and eastern Africa and are diurnal (active by day). Interestingly they only breed once a year in the spring time of their range, which is around September, and males fight over females by wrestling and pinning each other’s head to the ground. These fights can last a few minutes or up to an hour. Beyond mating males and females do not interact. Females lay clutches of around a dozen eggs, usually in abandoned termite mounds, and guard them until they hatch. The black mamba is known as the deadliest snake in the world, and for many reasons. They are the fastest snake in the world, reaching speeds of up to 20km/h. Though they are more likely to retreat when they can, they can also be highly aggressive. The black mamba is the largest and most poisonous snake in Africa and second longest venomous snake in the world, with the first being the king cobra. The black mamba is a venomous snake with venom capable of killing a human in 20 minutes – that’s the shortest time among all known snake species. When many think of venom they think it’s bad and believe me it is, but when it comes to science it could be a good thing. The black mamba’s venom has pain killing compounds as strong as morphine but doesn’t have the side effects. Though the black mamba’s conservation status is of Least Concern, with rapidly encroaching human habitation they are coming into contact with humans more often and being killed out of fear. So whether you fear them or like me admire them, the black mamba is an amazing animal that deserves our respect.